One of the renowned Manufacturers and Suppliers of the qualitative and certified Transparent Rope Wire Seals we have up to date Production Unit with the modern and newest machines, along with the advanced technology. 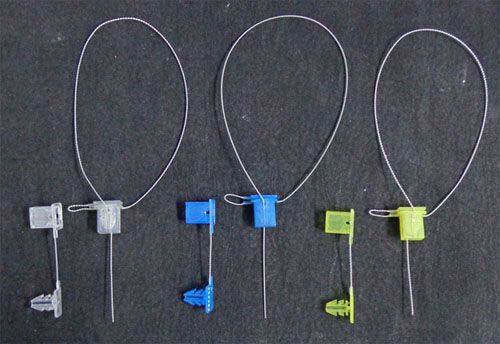 We make available the Transparent Rope Wire Seals to the customers that are highly durable, qualitative and affordable. We are also flexible delivering the Transparent Rope Wire Seals as we have reliable transportation facilities. Colors - Transparent colors Red, Yellow, Green, Blue, other color available on request. Ideal for sealing and securing of - Truck Tarpaulin, Tankers, Barrels, Cans, Carboys’.